There are two easiest alternatives to invest in this high yield bonds such as bond mutual fund or exchange traded fund. Both can provide instant asset diversification to your portfolio. The following article will focus on top performer high yield bond fund June 2011. The list is sorted based on its fund performance up to June 1st, 2011. The list is compiled from various financial websites like Morningstar, Yahoo finance, Google finance, Kiplinger, MSN, etc. 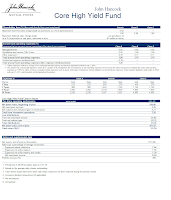 As the top performing fund with 9.39% YTD return, the John Hancock3 Core High Yield A seeks for total return, a high level of current income and capital appreciation. The majority of its net assets are invested in corporate debt securities with below investment-grade rating. The remaining assets are invested in debt securities of foreign issuers including emerging markets. It may invest small part of its assets (up to 10%) in domestic and foreign equities with any market capitalization range. The fund lead manager is Terry Carr since its inception date on April 2009. This DundeeWealth fund is rather small with $17million total net assets. It has 0.25% management fee and 4.50% front end sales load. The fund’s expense ratio is 1.13% per year. Last year, the fund returned 20.82%. The JYIAX fund also has the lowest net assets among all the bond funds in this list with $17 million. The minimum balance to invest in this fund is $2,500 for either brokerage or IRA account. There is no minimum subsequent investment needed. Meanwhile this fund can only be purchased from Daily Access Corporation RTC. The top sectors of this John Hancock fund are 68.80% in US Corporate Credit and 31.20% in Foreign Corporate. 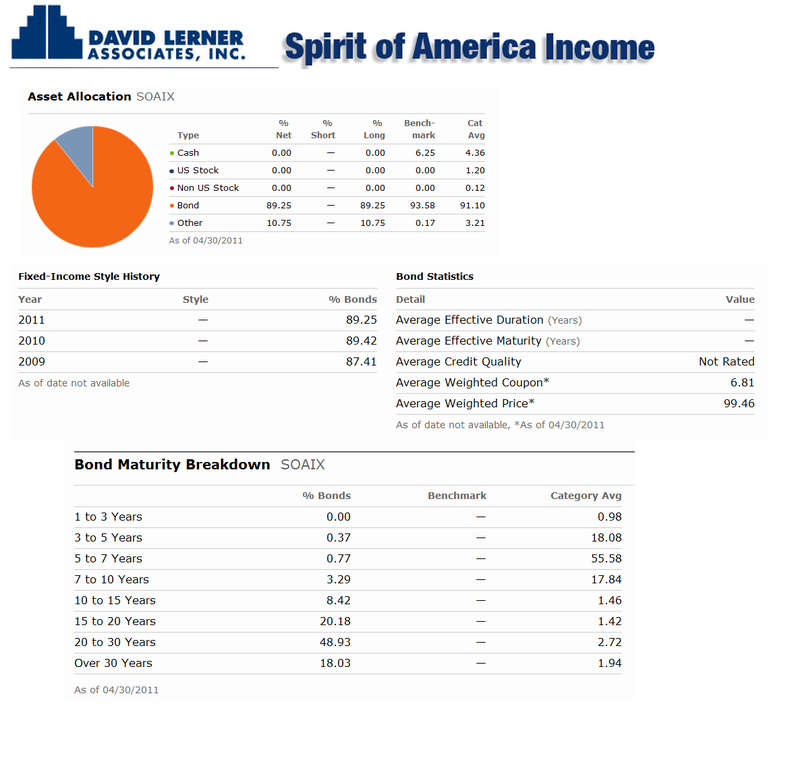 The Spirit of America Income fund invests most of the assets in diversified portfolio of taxable municipal bonds, preferred stocks, collateralized mortgage obligations, income producing convertible securities and high-yield U.S. corporate bonds. It may invest in higher rated bonds, other securities as well as private placements. The fund net expense ratio is 1.10% per year. The fund also has a dividend yield of 6.52%. 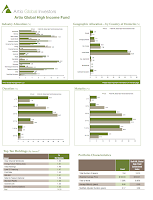 The fund annual holdings turnover is 17%, quite low compared to the category average (95.95%). William Mason has managed this fund since January 2009. The fund has returned 8.23% in his first year (2010). The one-year load adjusted return is 1.53%. This fund applies 12b1 fee of 0.25% and front-end sales load of 4.75%. As of April 2011, the top sectors of SOAIX fund are Municipal Credit (94.44%), U.S. Corporate Credit (3.74%), Mortgage CMO (1.35%) and Foreign Corporate (0.47%). 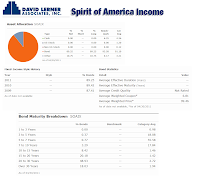 This Spirit of America Income fund allocates 89.25% in bond and 10.75% in others. This Fidelity fund was formerly known as Fidelity High Yield Fund Class A. Since July 2002, the fund’s name has been changed to Fidelity Advisor High Income Advantage A. FAHDX is looking for a combination of high level of income. This fund is as well seeking for the potential for capital gains. The major net assets are invested in income-producing debt securities, convertible securities and preferred stocks by emphasizing on lower-quality debt securities. FAHDX potentially invests in non-income producing securities. Harley Lank is the lead manager of this fund since September 2009. The expense ratio is 1.03% per year. This expense figure is a little bit lower than the average in the High Yield Bond category which is 1.18%. Minimum balance requires to open a brokerage account in this fund is $2,500 and $500 for IRA account with no minimum subsequent investment. Please note that there is a 0.25% 12b1 fee applies and 4.00% front-end sales load fee. The fund has a 2-stars rating from Morningstar. The best 1-year total return was recorded in 2009 with 69.45% within 17 years positive years. It has returned 10.64% over the past one year and 6.92% over the past five years. This fund is available in a lot of other classes such as Class B (FAHBX), Class C (FAHEX), Class T (FAHYX) and Class I (FAHCX). FAHDX fund can be purchased from 89 brokerages include Pershing Fund Center, Scottrade Load, JP Morgan, Vanguard, Edward Jones, Merrill Lynch, TD Ameritrade Inc, Fidelity Retail Funds Network, etc. The top five issuers of this fund as of March 2011 are CIT Group Inc New, Tenet Healthcare Corp, GMAC Inc, International Lease Financial Corp and Valeant Pharmaceuticals International. These ten issuers represent 11.69% out of the 365 holdings. 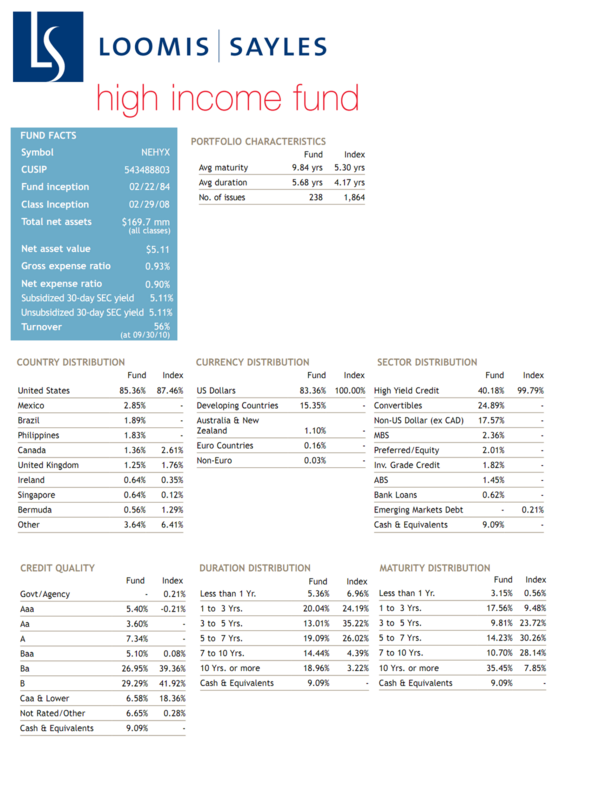 This Loomis Sayles High Income fund is using Barclays Capital High Yield Index as its investment benchmark. The purpose of this Loomis Sayles fund is to gain high current income and is to provide an opportunity for capital appreciation with a high total return. NEFHX invests at least 65% of the net assets in U.S. corporate or U.S. dollar-denominated foreign fixed-income securities. The lead manager of this Loomis Sayles fund is Elaine J. Stokes. She has managed this fund since February 2007. Investor can invest in this fund by opening a brokerage account with $2,500 minimum initial investment. The 12b1 fee of this fund is 0.25% and the front-end sales load fee is 4.50%. The annual expense ratio of this fund is 1.15%. This top performer mutual fund also received 2 stars rating from Morningstar, but it has year-to-date (2011) return of 7.16%. The total return in the previous years is 50.35% in 2009 and -26.62% in 2008. It has returned 8.48% over the past one year. This fund can be purchased from 95 brokerages, include JP Morgan, Scottrade Load, Schwab Institutional, Edward Jones, Merrill Lynch, Common Wealth PPS, Pershing Fund Center, Td Ameritrade Inc, etc. 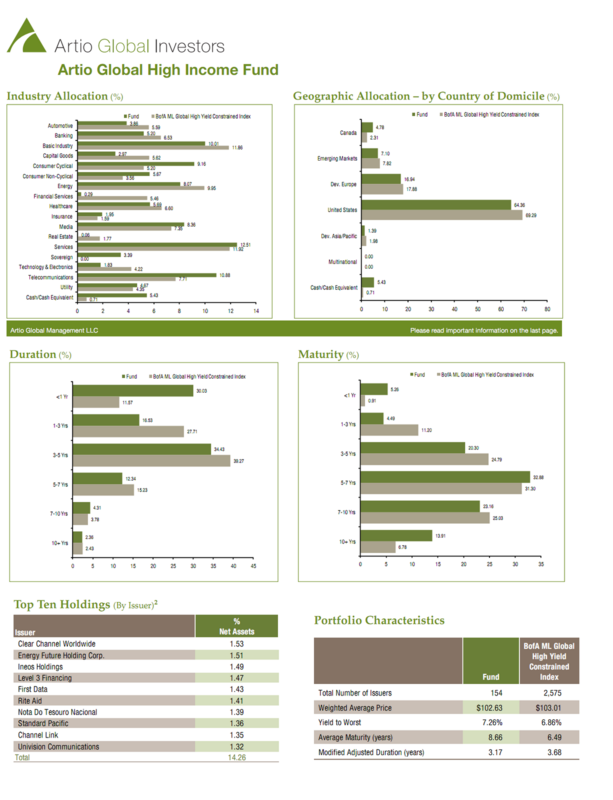 As of March 2011, the sector distribution of this Loomis Sayles fund are High Yield Credit (40.18%), Convertibles (24.89%), Non-US Dollar (17.57%), MBS (2.36%), Preferred/ Equity (2.01%), Investment Grade Credit (1.82%), ABS (1.45%), Bank Loans (0.62%) and Cash & Equivalents (9.09%). The Pioneer High Yield fund seeks for maximizing total return by combining income and capital appreciation. At least 80% of its assets are invested in investment grade debt securities and preferred stocks. This TAHYX fund invests in high yield securities of any rating, including those issuers that are in default or bankruptcy at the time of purchase. The remaining fund may be invested in investment and below investment grade convertible bonds and inverse floating rate obligations. This Pioneer fund is currently managed by Tracy Wright. This fund also has a high dividend of 4.77%. The minimum balance required to open a brokerage account in this fund is $1,000 and $250 for IRA account. The fund has annual expense ratio of 1.18%. The 12b1 fee of this fund is 0.25%, and front-end sales-load fee of 4.50%. 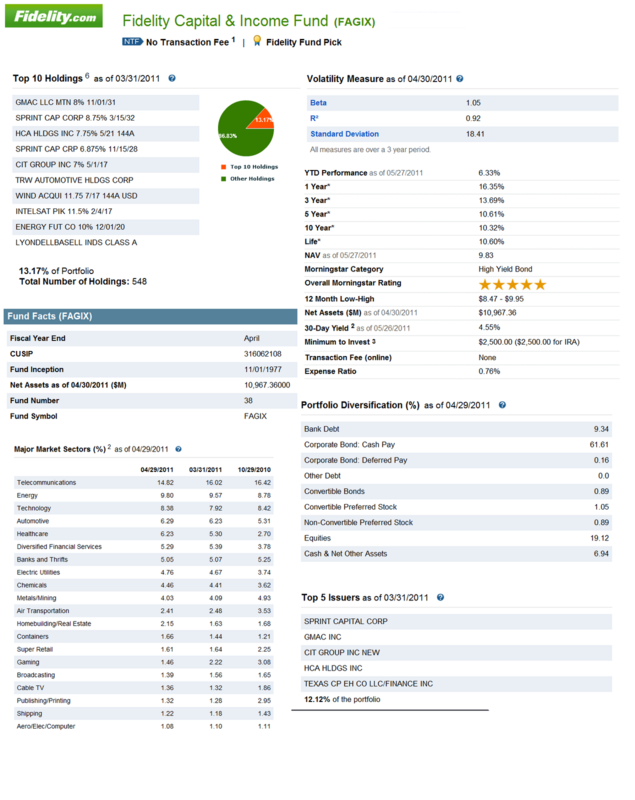 Morningstar has rated this Pioneer fund with 3 stars rating. It has recorded 10 years positive performance with the best total return in 2009 with 62.02% and the worst in 2008 with -37.00%. It has returned 12.58% over the past decade and 6.96% over the past five years. 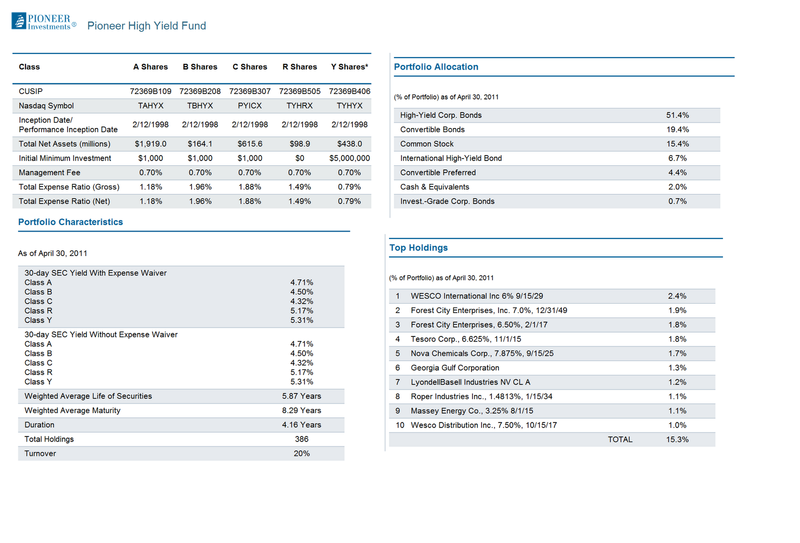 This Pioneer High Yield fund has 6.92% YTD return. Investor can invest in the other classes of this fund, such as Class B (TBHYX), Class C (PYICX), Class R (TYHRX) and Class Y (TYHYX). TAHYX can be purchased from 117 brokerages such as JP Morgan, Merrill Lynch, Edward Jones, Schwab Institutional, Morgan Stanley Advisors, Td Ameritrade Inc, E Trade Financial, Datalynx, etc. As of April 2011, the top holdings of this fund are WESCO International Inc, Forest City Enterprises Inc, Forest City Enterprises 6.5%, Tesoro Corp, Nova Chemicals Corp, Georgia Gulf Corporation, LyondellBasell Industries, Roper Industries Inc, Massey Energy Co and Wesco Distribution Inc.
FAGIX is one of the top funds that are featured as one of Fidelity Fund Pick. 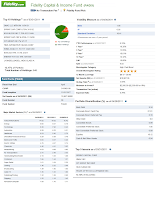 It is also the highest rated fund in this list with 5 stars rating. The main objective of this Fidelity Capital & Income fund is to seek for income and capital growth. It invests in equity and debt securities, including defaulted securities, by emphasizing on lower-quality debt securities. There is a possibility of investing in troubled companies or companies with uncertain financial condition within domestic and foreign issuers. 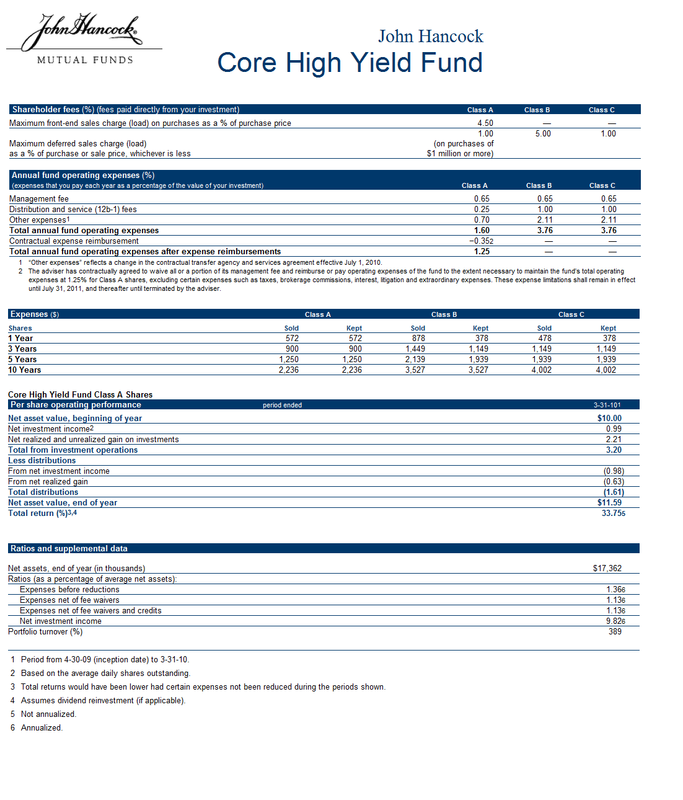 Since July 2003, this high yield bond fund is managed by Mark Notkin. This fund was formally introduced to retail investor in November 1977. The minimum balance to open a brokerage or IRA account for this fund is $2,500 and a minimum of $250 for the subsequent investment. There is no 12b1 fee as well as no sales-load fee for investing in FAGIX. The annual expense ratio of this fund (0.76%) is lower than the average (1.18%). The FAGIX fund has a 10.61% of 5-year average return with 7.27% of year-to-date return. Since its inception, the fund has 26 years of positive return (the best return occurred in 2009 with 72.14%) and 7 years of negative return (the worst return is -31.90%). FAGIX can be purchased from 69 brokerages include JP Morgan, Vanguard, T Rowe Price, EP Fee Small, Schwab Institutional, Schwab Retail, Ameriprise Brokerage, etc. As per March 2011, this fund has 548 holdings. The top ten holdings represent 13.17% of the total portfolio. They are Gmac LLC MTN, Sprint Cap Corp, HCA Holdings Inc, Sprint Cap CRP, Cit Group Inc, TRW Automotive Holdings Corp, Wind Acqui 11.75, Intelsat PIK, Energy FUT Co and Lyondellbasell Inds Class A. This BJBHX fund is part of Artio Global Investors Fund family. This Artio Global High Income fund is seeking to maximize total return through a high level of current income and capital appreciation. It invests the main portion of the assets in a diversified portfolio of high income producing instruments of issuers located throughout the world, including in emerging-market countries. BJBHX invests in U.S. dollar-denominated securities, fixed-income securities, debt instruments convertible into common stocks, bank loans, income trusts, structured notes and swaps, and preferred stocks. This BJBHX fund has 3.62 billion of net assets. The annual expense ratio of this fund, 1.00%, is lower than the average expense, 1.18%. The last dividend was distributed in April 2011; this contributes to a yield of 7.58%. This fund has returned 11.91% over the past one year and 11.31% over the past 3 years. It has experienced 7 years with positive return and 1 year with negative return. The best return was recorded in 2009 with 54.56%. This fund applies no management fee and no front-end sales load fee. This fund is managed by Gregory Hopper since December 2002. The minimum balance required to invest in this fund is $1,000 for brokerage account with $1,000 minimum subsequent investment. While for IRA account, the initial investment is $100 with no minimum subsequent investment. This fund can be purchased from 78 brokerages include Schwab Retail, T Rowe Price, JP Morgan, Td Ameritrade Inc, Dreyfus NTF, Ameriprise Brokerage, Common Wealth PPS, LPL SAM Eligible, etc. The other class of this fund is Institutional Class (Ticker: JHYIX) that was introduced to public a year later after BJBHX. The top ten holdings of this fund as of April 2011 are Clear Channel Worldwide (1.53%), Energy Future Holding Corp (1.51%), Ineos Holdings (1.49%), Level 3 Financing (1.47%), First Data (1.43%), Rite Aid (1.41%), Nota Do Tesouro Nacional (1.39%), Standard Pacific (1.36%), Channel Link (1.35%) and Univision Communications (1.32%). These ten companies represent 14.26% of the total holdings.